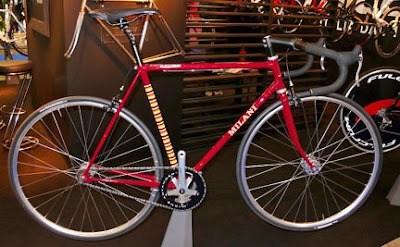 Milani Cycles located about 50 miles northwest of Milan makes high quality handmade bicycles since 1927. Founded by former racer, Celeste Milani, these beautiful machines are still lovingly crafted in Italy. The classic steel, Replica is from the same humble racing origins back in Milani’s days. Now, Molybdenum Chromium steel is used. No matter, the bike is a throwback to classic days riding on steel.